Sotheby’s presents a Singapore and Taipei exhibition of highlights from the upcoming Magnificent Jewels and Noble Jewels auction in Geneva, which features a marvellous array of signed jewels from prominent designers and jewelry makers, together with remarkable precious stones and antique jewelry. Magnificent and highly important emerald and diamond necklace, circa 1935. Onyx, ruby and diamond jabot pin, Cartier, circa 1925. 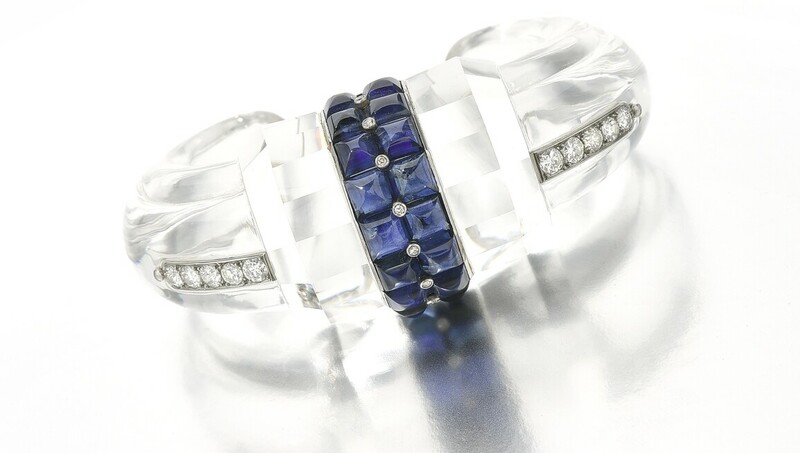 Rock crystal, sapphire and diamond bangle, Boucheron, circa 1925. Diamond tiara, attributed to Fabergé, circa 1903. Diamond ring, Harry Winston weighing 18.86 carats.